Your 360º music technology partner to quickly launch and grow your own music streaming solutions in Asia Pacific & beyond. 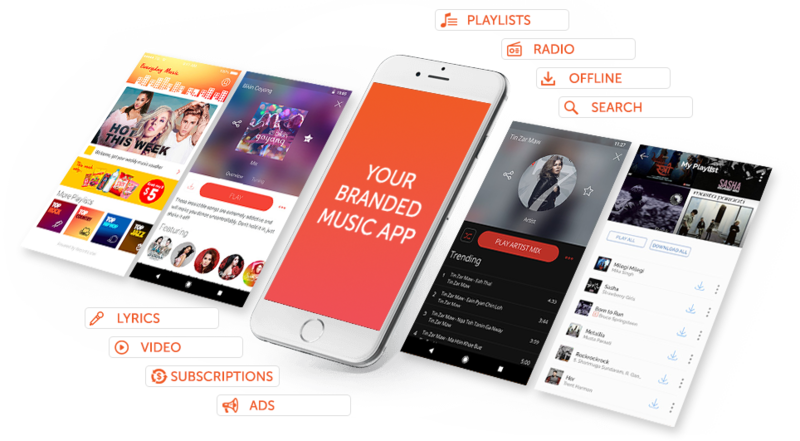 We provide the platform, the music catalogue and the marketing expertise necessary for Telcos, Music Services and Brands to set up, run and grow their own music streaming platform. 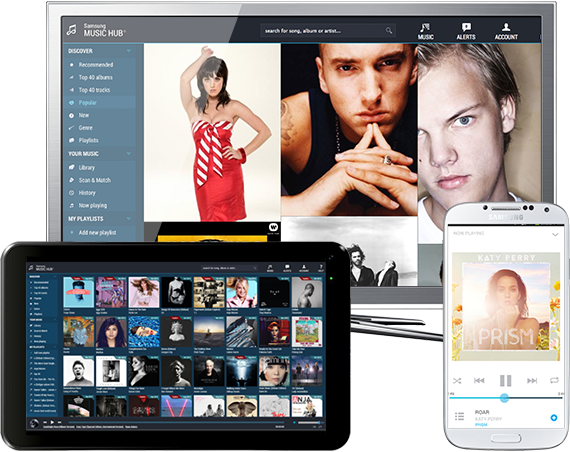 Our white label platform enables a new complete music streaming service to be launched within 2 weeks*. It includes all the music features out-of-the-box, ready for monetisation, all controlled from a single CMS with no coding required. 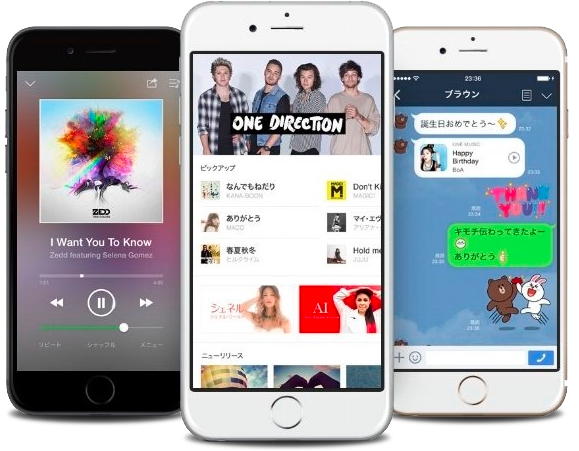 Line Music was looking for a music technology company to grow their content catalogue and win market share in the Japanese streaming market in a short time frame. Tuned Global’s unique capabilities and technology enabled Line Music to ingest millions of new tracks over a 24-hour period. This process would have taken 30 days to finish in the past - it is unique in the industry. Samsung offered a music streaming service to their customers in Australia in order to add value to their devices, boost sales and differentiate their offer in a competitive market. Tuned Global completed the project in 4 months and was nominated for the Australian Choice Awards for Streaming Platforms in 2014, for ease of use and power. It was also the #1 Music app in term of downloads on the Samsung Apps Store. 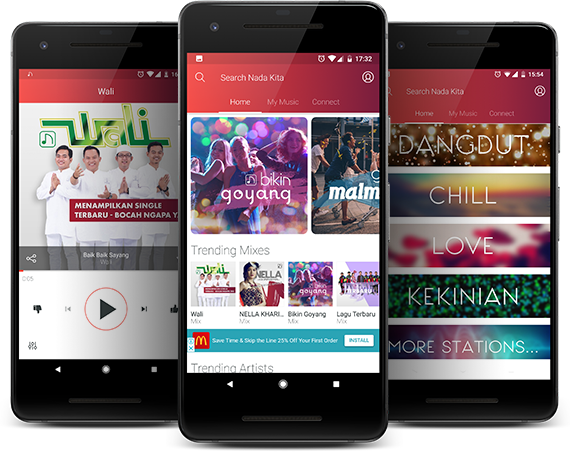 Nada Kita offers Indonesian customers the music they love for free with the first semi-interactive service in the market. The service is ad-funded and allows local brands to engage with millennials across multiple socioeconomic demographics. Nada Kita is a real-life lab for Tuned Global. This direct to consumer service allows us to test and learn new features and marketing tactics in order to better innovate and support our B2B clients. Nada Kita has attracted over 2.5 million Indonesian users in the first 2 years. Ready to take advantage of the #PowerOfMusic? Do you have any questions? An idea? We can help you. Tuned Global creates the most fluid and engaging music experience imaginable.